The main character in this story has a problem that I could relate to – anxiety about public-speaking—and she also lives in a zoo! That's definitely a fun and intriguing situation. I'm delighted to have discovered this book on the shelf in my local library. Ana Wright's social life is now officially on the endangered list: she lives in a zoo (umm, elephant droppings!? ), her best friend lives on the other side of the world, and the Sneerers are making junior high miserable. All Ana wants is to fade into the background. Yeah, that's not going to happen. 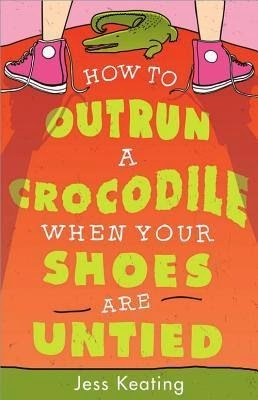 How to Outrun a Crocodile When Your Shoes Are Untied by Jess Keating, Sourcebooks Jaberwocky, Naperville, Illinois, 2014. This book manages to be funny and touching at the same time. I enjoyed the animal facts and unique perspective from Ana, whose parents have moved their family to live in a research station inside the zoo. Although some of the characters seem familiar, like the crowd of “mean girls” that bully Ana or the sweet-but-annoying twin brother, Dax, I wanted to read on to see whether Ana solves her problem. Middle grade students will relate to feelings of awkwardness and anxiety and her friendship issues. Writers, this is a great example of a middle grade novel with a really strong main character voice. Her next book in the series is called How to Outswim a Shark Without a Snorkel and came out in January. I’m going to be looking for it! How to Outrun a Crocodile When Your Shoes Are Untied has been nominated for the Red Maple Award. For more, visit Jess Keating’s website. Looking for more Marvelous Middle Grade Monday books? Visit Shannon Messenger’s blog for a list of bloggers reviewing great books today! Shannon is the founder of Marvelous Middle Grade Monday and the author of the Keeper of the Lost Cities series. Writing Excuses 10.9 – Where Is My Story Coming From? 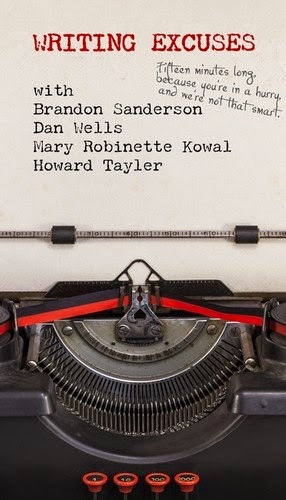 This year, the team at Writing Excuses is following a different format, where for three of their weekly podcasts in a month, they focus on one aspect of creating a book, e.g., characters, structure. I found this episode on structure especially useful. Something that stuck with me was their discussion about considering the overall tone of the book during the planning stage. I recently started listening to this series of podcasts about creative professionals taking risks as they develop their craft. I really enjoyed this interview with author-illustrator Debbie Ridpath Ohi, and not just because she's my friend. Like Debbie, I’m a total introvert. 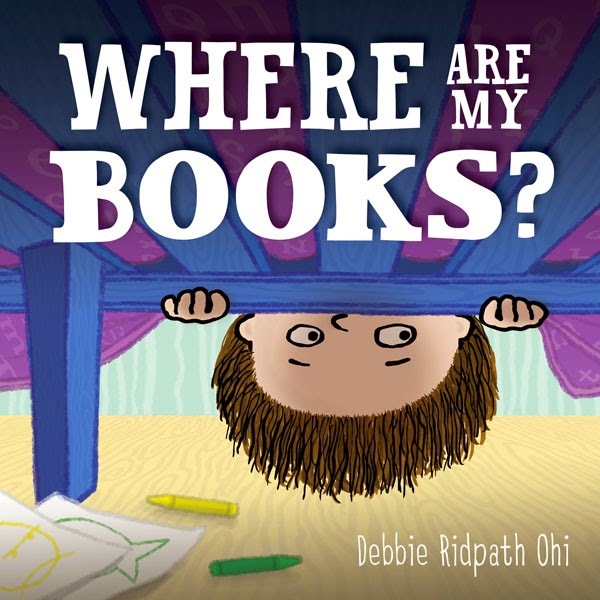 Debbie's latest picture book WHERE ARE MY BOOKS? is coming out on May 12, 2015 from Simon & Schuster Books For Young Readers. Introducing Generation Z: A Special Edition of The Current with Anna Maria Tremonte at CBC Radio. These three podcasts aren't focused on writing, but if you are writing YA or upper MG, they might give you a peek into what teens are thinking and talking about and how they view the world. I probably wouldn’t have picked this book to read, if it wasn’t nominated for the Silver Birch Award, but I’m glad I got to read it. Everyone should read this book. Life is changing for Canada’s Anishnaabek Nation and for the wolf packs that share their territory. In the late 1800s, both Native people and wolves are being forced from the land. Starving and lonely, an orphaned timber wolf is befriended by a boy named Red Wolf. But under the Indian Act, Red Wolf is forced to attend a residential school far from the life he knows, and the wolf is alone once more. Courage, love and fate reunite the pair, and they embark on a perilous journey home. But with winter closing in, will Red Wolf and Crooked Ear survive? And if they do, what will they find? 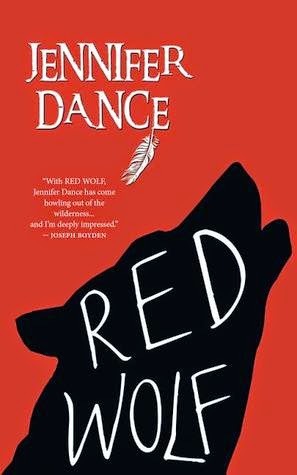 Red Wolf by Jennifer Dance, Dundurn, Toronto: 2014. This book is an eye opener if you don’t know much about the experiences of Native people in residential schools. It was heart breaking to read Red Wolf’s story – and to realize that it’s based on real events. Along with the story of Red Wolf, there’s a parallel story of a wolf pup struggling to survive after its parents were killed, but I was more emotionally connected to the story of Red Wolf and what was happening to him. This is definitely a book that makes you think. It may also make you feel angry and sad that these atrocities happened. As a writer, this is a good book to read to see how to build an emotional story using historical details and facts. spending time with her horses. She is concerned about the environment and loves the outdoors. Red Wolf won a Moonbeam Medal for Historical-Cultural Preteen fiction. Her second book, Paint, was published in January 2015. I'm looking forward to reading it! For more, visit Jennifer Dance's website. This is a great book for any kids who enjoy sports! It’s another one of the nominees for this year’s Silver Birch Award from the Ontario Library Association. Thirteen-year-old Cody is aching to get back onto the pitch. Last year he had a tumor removed from his leg. Though it's a struggle, Cody tries out for the Lions and makes the team as a "super sub" -- one of eleven players who jokingly named themselves that because they're never allowed to play. Secretly Cody is relieved, since he hasn't told anyone on the team that he had cancer. But then there's a shakeup in team management and suddenly Cody and the super subs are the only players left. Cody has no choice now but to play, even if his leg does begin to hurt. At an end-of-season tournament it becomes clear that he and another player, Paulo, are close to being the perfect scoring duo. Without being aware of it, Cody has been holding himself back, striking with his left leg instead of his right. When he finally comes clean to his teammates about his disease and injury from the year before, they encourage him to trust his leg and his skill. 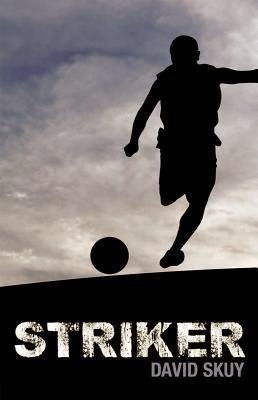 I don’t know much about sports, so I learned a bit about soccer from reading this book. But I could relate to the emotions Cody felt in worrying about whether he was good enough and whether he’d fit in and could make friends with the other guys on his team. I thought the story was realistic and liked that Cody’s parents were involved in the story too. As a writer, this is a good one to read to see how to include the parents in the story in a realistic way. I also thought it was great the way the author integrated Cody’s thoughts with the story action. David Skuy writes fast-paced books about sports and issues in the world around us. One of his previous books, Undergrounders, won a Silver Birch Award. For more about David Skuy, visit his website. Looking for more Marvelous Middle Grade Monday books? Visit Shannon Messenger’s blog for a list of bloggers reviewing great books today! Shannon is the founder of Marvelous Middle Grade Monday and the author of the middle grade series, Keeper of the Lost Cities.